company focused on creating unique experiences. Hi, I’m Max Fedler, race team driver at Max Fedler Racing. At MFR we specialize in delivering exciting, behind the scenes experiences both on track and off track. Our goal is to map what we do to your business and personal goals in areas such as: team building, corporate events, branding and marketing, and corporate social causes. Our mission is to provide excellent brand exposure and also host exciting corporate events to engage customers, clients, and friends. Please Contact Us to start a discussion today! Our team has been working hard in the offseason testing new setups and setting track records here in Colorado. To kick off our 2019 season, we welcome new parters Little Man Ice Cream and Design Wright Studios. 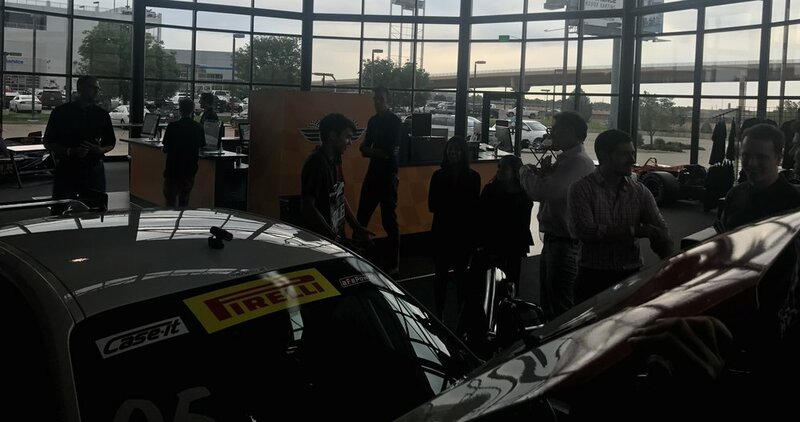 Our partner programs continue in strong force as we highlighted events such as Denver South High School’s annual car show supporting Student Senate. 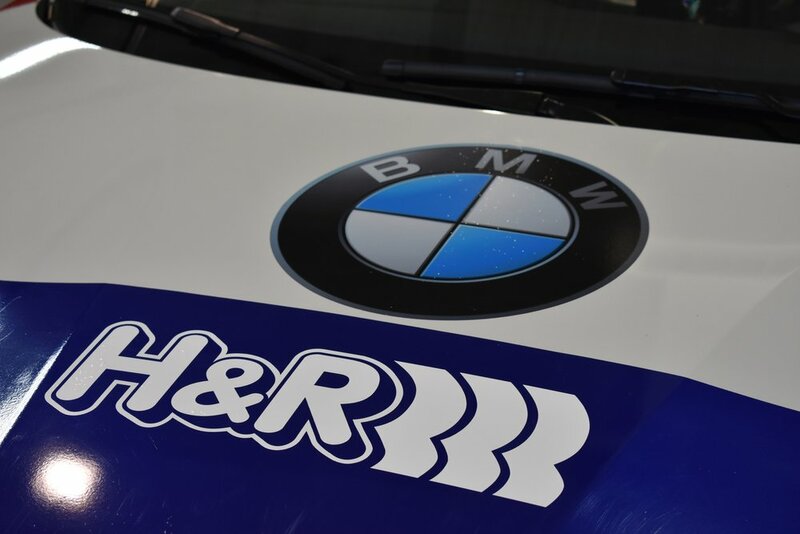 Our race car, Sasha, is also currently on site at BMW of Denver Downtown where we are featured in the showroom and special events. We continued to work hard and develop our car with the mechanics and engineers at Fall Line Motorsports. Using some new spring rate calculations and some excited new products from H&R, we were able to really work the suspension and pull some additional speed out of the car. This great work allowed us to qualify 2nd in a strong field of competitors form across the country, including several National Champions. In the race on Sunday we got a great start and jumped into the lead for a bit before settling into a 1-2-3 train for the first part of the race. We were held up by a lapped car that cost us some gap, but recovered to finish 2nd in the race, on the podium, with a 2nd fastest lap time just 0.1 off the race winning time. 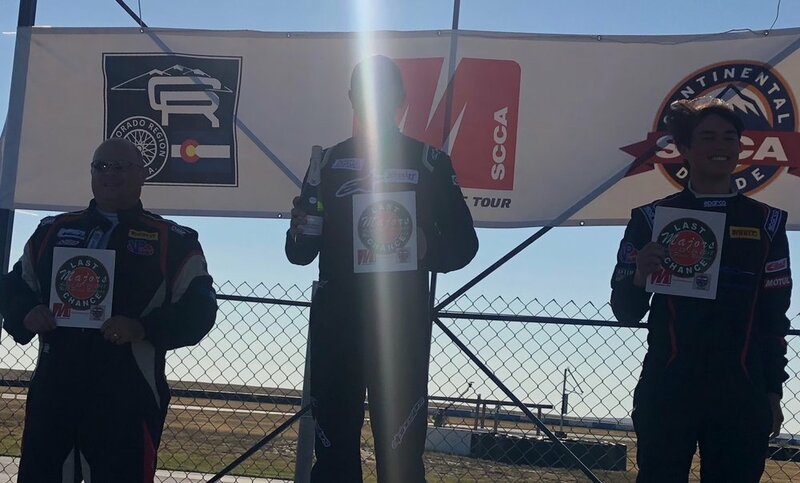 This result earned us a spot in the National Championship Runoffs in Sonoma, California in October! 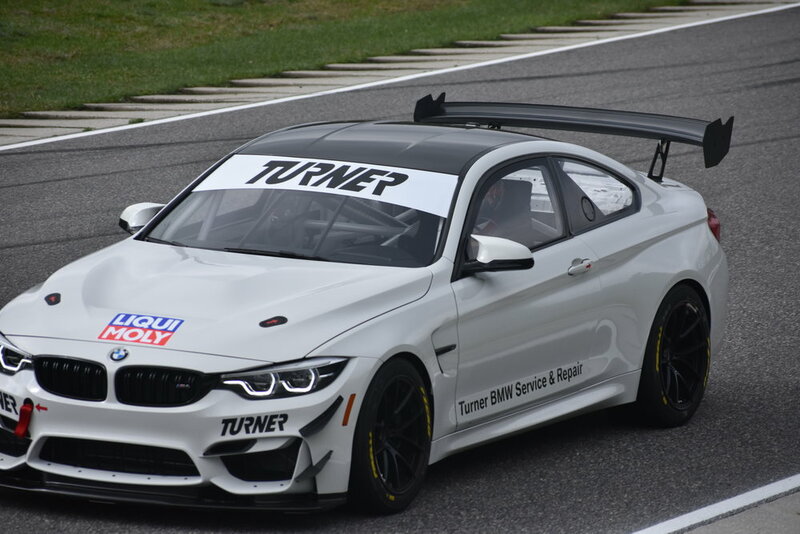 With the help of our family and friends, and the great talented guys at Fall Line Motorsports, we were able to rebuild my race car and get back on track for the SCCA CAT Nationals at Road America. This race weekend was all business for our team and we qualified 6th on Saturday and 3rd on Sunday. In both races we ran well but struggled with tire management as our car has to run very heavy in the T2 class right now. We fought hard and finished 5th out of 33 both days. 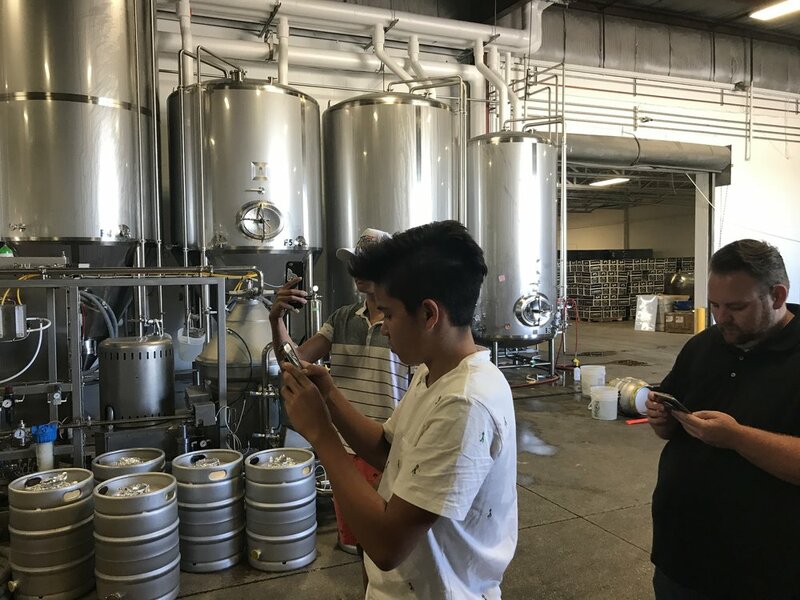 A weekend of highs and lows... we started off with our annual Plenco Corporate Event at 3 Sheeps Brewing in Sheboygan Wisconsin and even welcomed a new sponsor in Olivu 426. They have fantastic products and we hope you will check them out. We also announced a new partnership for SCCA Super Tour and Majors Tour racing with Fall Line Motorsports. On Saturday we hosted a large contingent of Plenco family and friends as well as Olivu 426 folks. We ran as high as 4th in Practice and Qualified 6th for Saturday's race. In the race itself we were running a solid 5th out of 50 cars when on the last lap, we had a suspension failure coming out of Canada Corner. Max spun into the inside wall hitting the car on the front and then rear essentially ending his weekend. Max was not seriously hurt and utlimately that is all that matters. While very disappointed, it reminded all on the team what a powerful group or friends, family, and supporters we have. Max was very fortunate to be asked to bring his race car and provide a keynote talk at the Denver Police Athletic League "Home Run Derby" sponsored by Renewal by Andersen, a long time supporter of Max. Max spent the day watching amazing young athletes crank home runs in the spirited competitions. Max then spent time talking with the athletes and their parents about pursuing their dreams. He spoke about the challenges you face in setting big goals and facing difficult barriers. Through strong belief, hard work, perservearance, and enjoying the journey, Max related how he has been able to accomplish so much in racing, academics, and athletics. 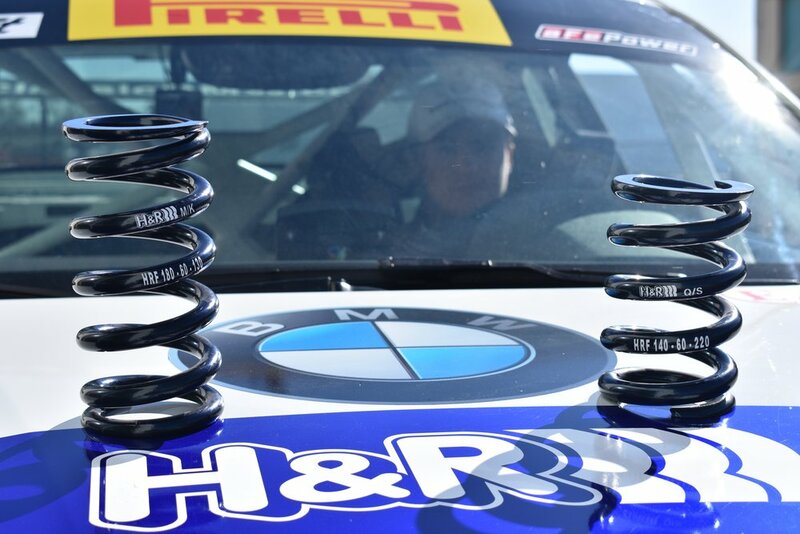 Right after the PWC round in Austin, Max and the team headed to the high desert of California to work with John Capestro-Dubets, Ryan Lindsey, and the BimmerSpeed team and their BMW M3 E46. 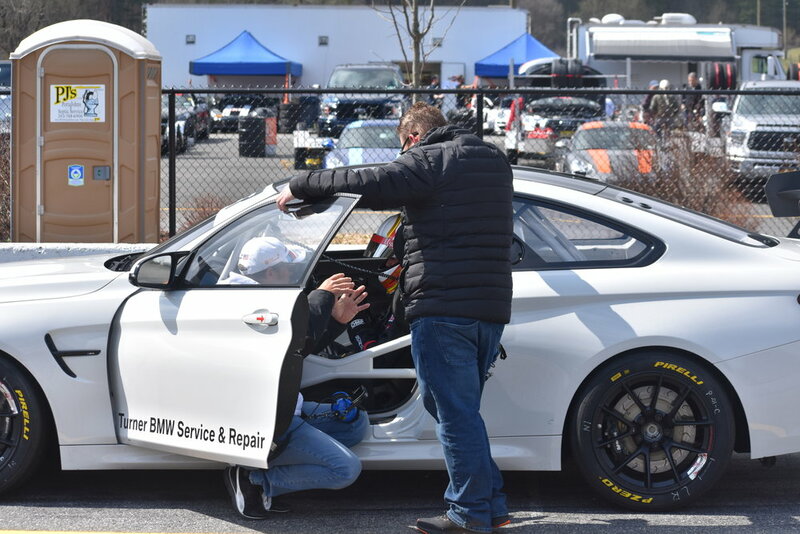 Max has been racing "paddle shift" cars primarily and the M3 was a great opportunity to work with a gate shift, high downforce race car prepped by the very talented Ryan. 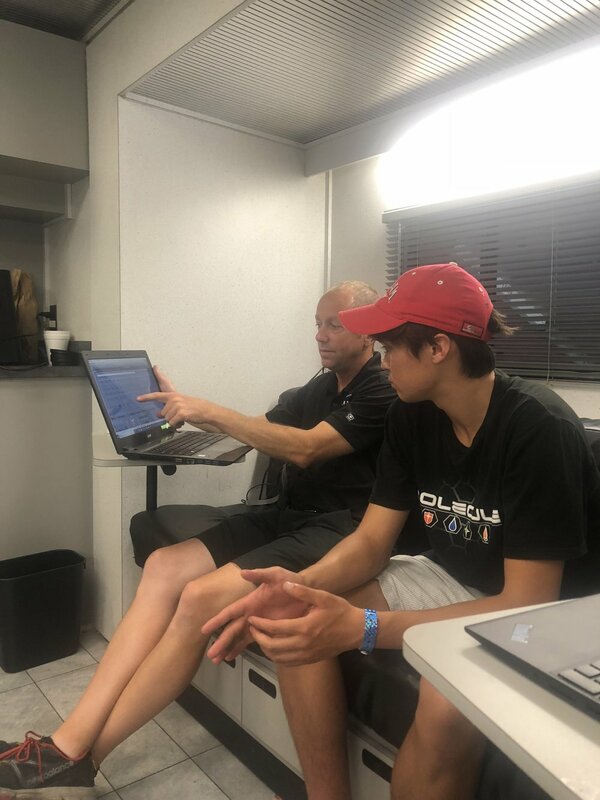 With "JCD" coaching and analyzing Max's on track work, he was able to dramatically improve his race craft in these areas. It was a great day in preparation for NASA endurance racing and ultimately the 25 Hours of Thunderhill! 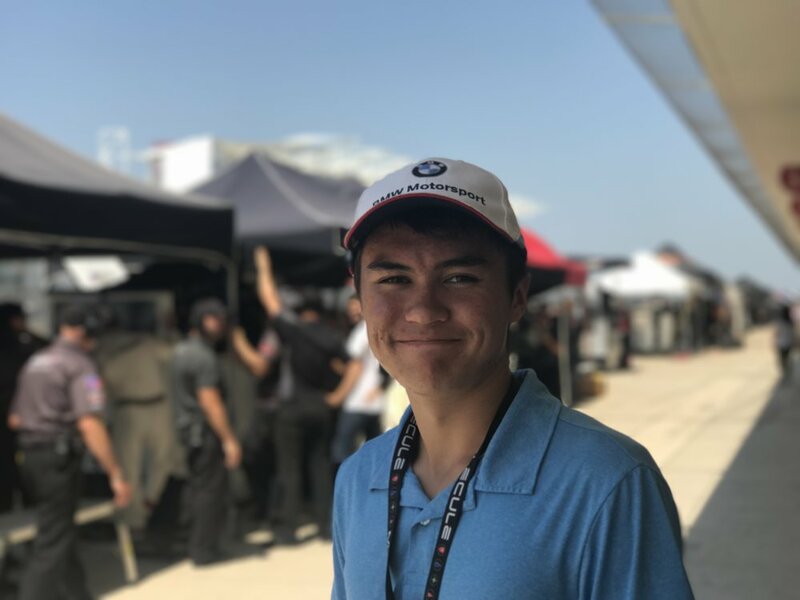 Max wasn't originally planning to race at this event until our friends at Matt Young Motorsports, Con Cor Incorporated (Cy and Susan Jary), Dinan Engineering, and a host of partners in Texas came together and build a program around him. We literally had the race car torn down at 3R Racing's shops doing some spring/damper dyno testing when the call came to put it all back together and get to Austin. The team arrived Thursday and Max Friday. Without any testing or practice, it was an uphill battle, but the team and Max did a great job to bring the car home 12th. This really cool video below came from the bumper of Henry Schmitt and Stephen Cameron Racing. A great bumper Cam view from Henry Schmidt's car. 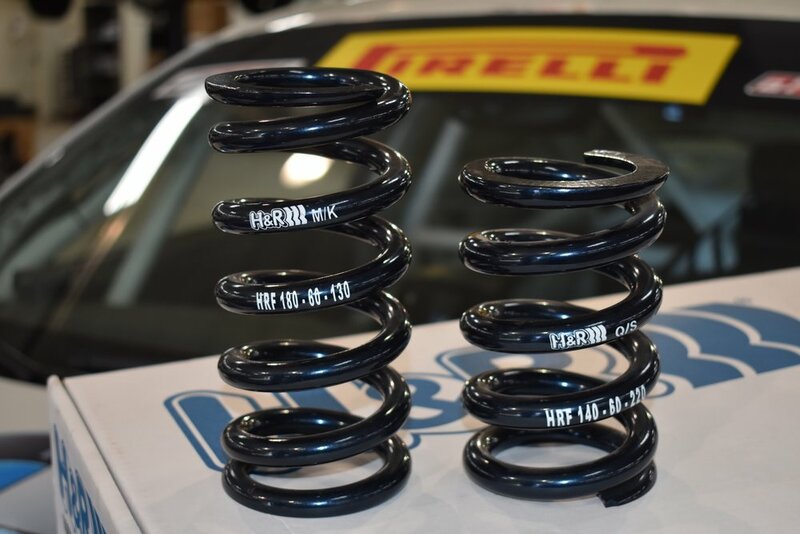 H&R Special Springs is a German based suspension company that has been built on a foundation of superior quality, true performance, and the best customer service. 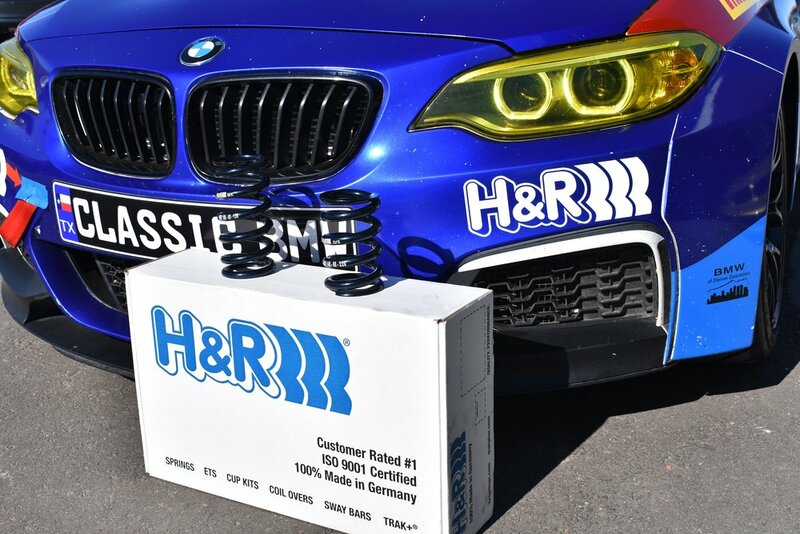 H&R has established a proven heritage of unsurpassed industry, respect and customer confidence, all of which give H&R the definitive edge in suspension tuning and design. 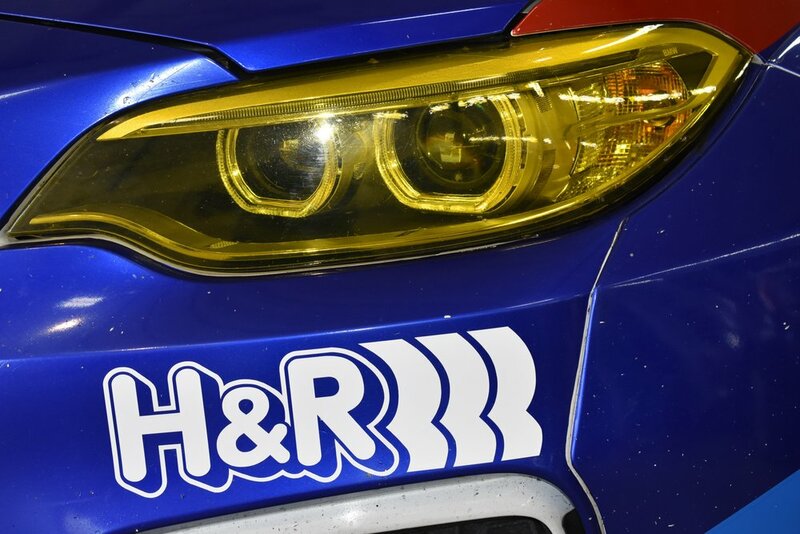 H&R has selected Max to be a partner and in return, Max Fedler Racing will exclusively use H&R Springs for the performance edge necessary to win in our 2018 program. What more can we say... my greatest weekend in motorsports to date! We were pleased to take part in Fred Emich's annual Track Day event at High Plains Raceway in Colorado. Joining us for the event were Loni Unser and her parents Johnny and Shauna. 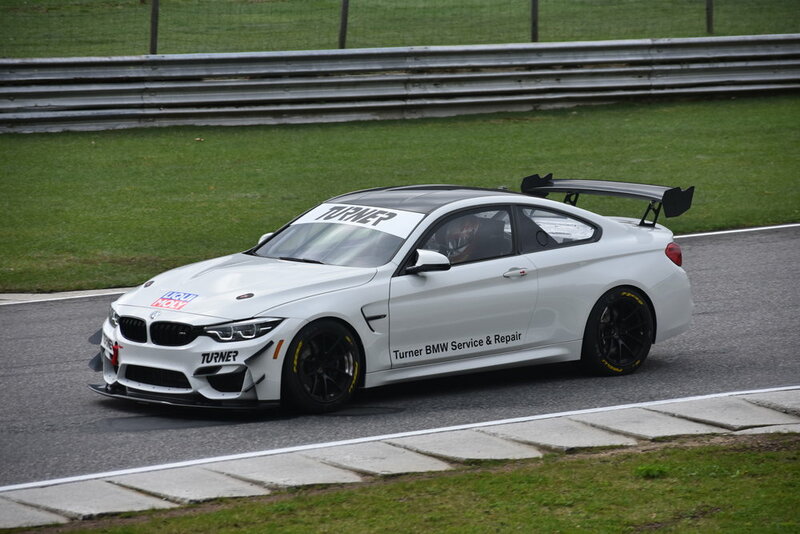 Loni and I tested the BMW M235iR with an eye towards endurance racing collaboration in 2018. It was a exciting day especially considering the parallels between the Unser's and Fedler's in racing generations (of course we're currently down 9-0 in Indy 500 victories though...). We spent the day working with the car, reviewing data and video, and working on driving techniques. Loni did an incredible job coming up to speed in the car and we're working on ideas to collaborate more this winter! 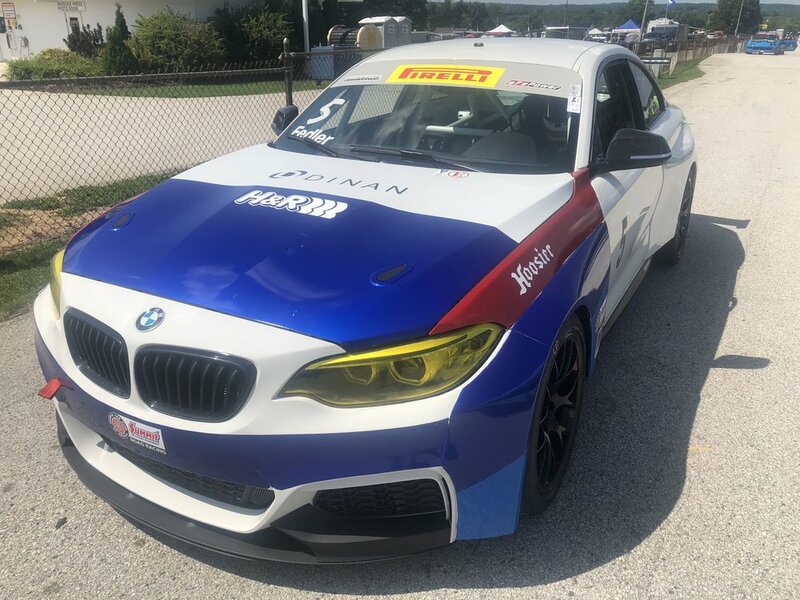 With the Circuit of the Americas in Austin Texas hosting the next round of Pirelli World Challenge, it is as close to a "home" race as it gets for our team at Classic BMW in Plano, Texas. As such, we had a huge turnout for the corporate hospitality event at the race. It was exciting to meet all of the customers and team members from Classic BMW. Everyone had a great time watching the racing at COTA and enjoying the tremendous hospitality, great food from Kirk, and BBQ from Black's in Austin. A huge win for us at the 24 @ 5280! This 24 hour endurance race is a grueling test of man and machine and is run by one of the nicest and most fun organizations in the country. 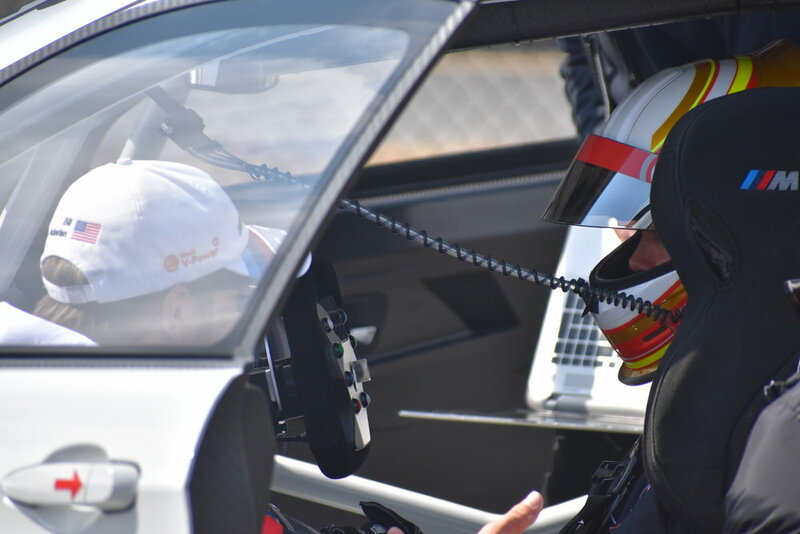 We were invited to join Vess Motorsports and Fast Track Racing alongside their team of incredibly talented drivers: Jason Hart, Mike Vess, CJ Lett, Toby Grahovec, John Capestro-Dubets, and Matt Travis. To say Max was honored just to be in this group would be an understatement! The team took him in and helped him understand the strategy, techniques, and commitment required to compete at the highest level. We had incredible support from our local partners at BMW of Denver Downtown as well as they helped us pull some spares from Max's car and even had Ryan Wallace out taking amazing pictures - including some of the ones below. In the end our team won the overall race by 8 laps!! Utah was exciting... We finished 11th overall in a field of 46 and while the final position might not have been the best, we really worked hard to achieve it! Our team at Fast Track Racing put in a lot of time with me working on braking techniques - lots of data analysis, track work, and refinement. The racing was intense and perhaps a bit erratic to say the least. We think someone must have told the drivers it was a 40 SECOND race instead of a 40 MINUTE race. Below is a little bit of my view of the starts of the two races. Merrill Corporation was looking for an exciting event in which they could bring out clients and share their new DataSite product launch and have some fun. They joined us at Unser Karting & Events in Denver for a great evening of high technology both on and off the track. 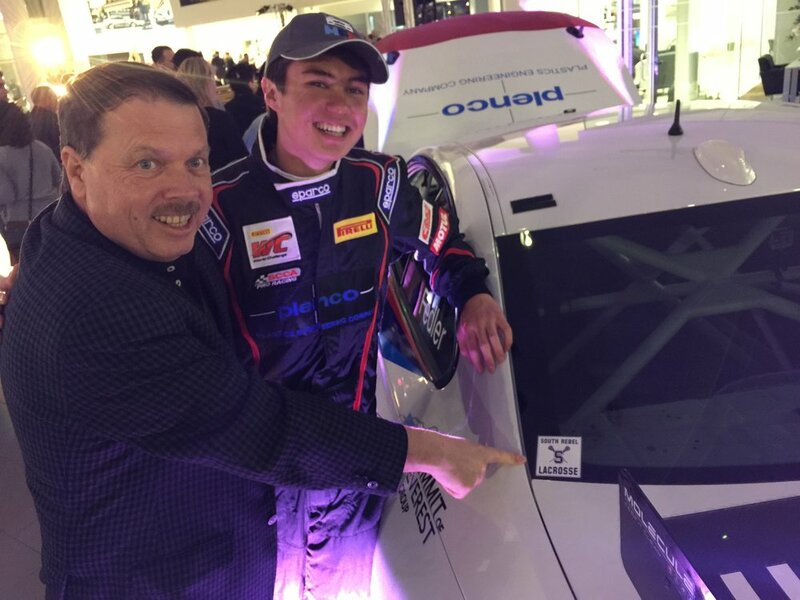 Max and Everest Fedler worked with the Merrill team to help them experience the exciting world of racing! We had a tremendous weekend at Road America during the Verizon Indy Car Series weekend. Our guests from Plenco, our family, and my Max Fedler Racing Team members joined us for the fun and we finished in sixth on Saturday in a virtual dead heat for 4th-6th and then 7th on Sunday in a yellow flag filled race. It was a truly great weekend! 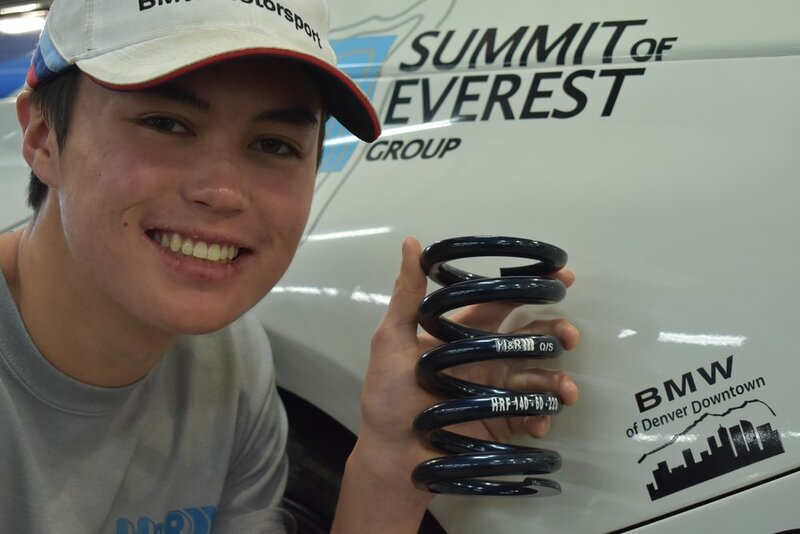 Many thanks to Plenco, BMW of Denver Downtown, Summit of Everest Group, and BMW Motorsport. Our long time supporters, Plastics Engineering Company, hosted an employee recognition event at 3 Sheeps Brewing in Sheboygan Wisconsin. We were thrilled to have our BMW M235iR on display alongside some tremendous beers and even better people. (Max got to enjoy the people, not the beer...). We are very fortunate to have Denver's top BMW store right here in our neighborhood! They've joined our team and provide a great deal of technical support for Max and the M235iR. In return, we were thrilled to be a part of their Grand Opening this spring. It was a fantastic night with local dignitaries, customers, team members, and BMW corporate executives. Sponsor a Lap of Max's 2018 Season!